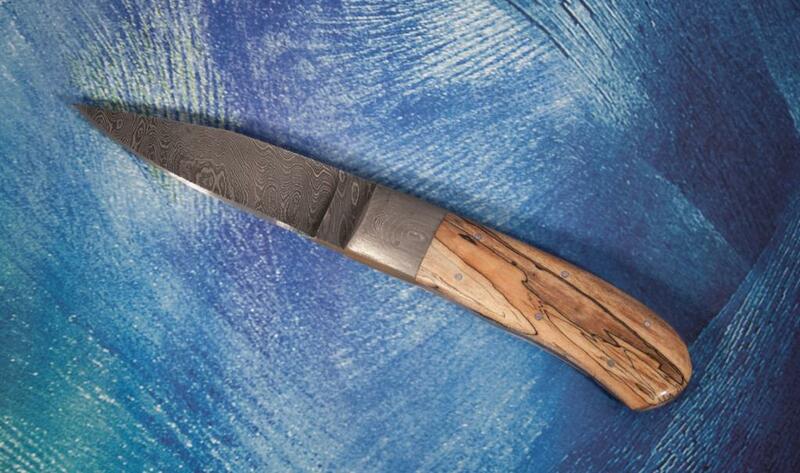 Delbert Ealy supplied the damascus blade steel and my brother inlaw supplied the spalted maple. 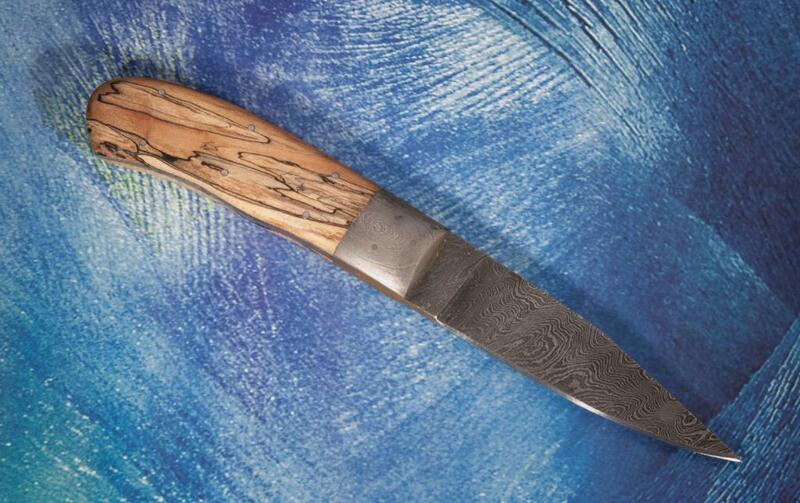 I did the stabilizing and added the Del Ealy damascus bolster. The knife is 7 1/2 inches overall and comes with a hand made sheath. $200 USD.